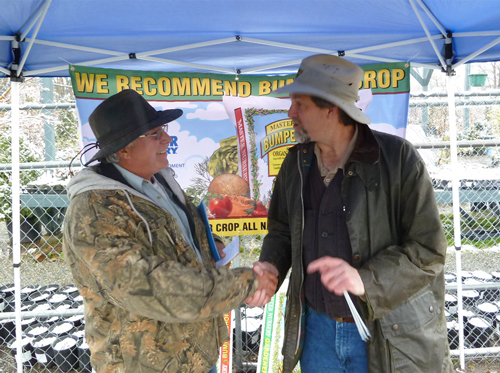 Fall Fertilization and the Plants that Love It! 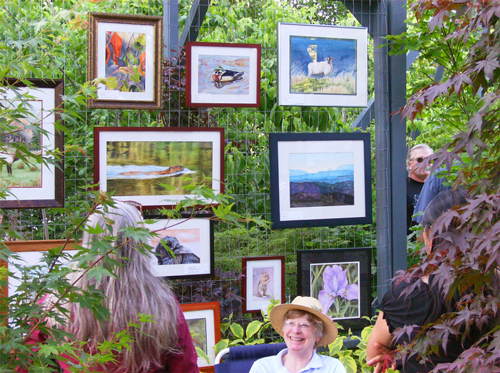 Are your Dogwoods and Rhododendrons not blooming as much as they should? Do your conifers tend more towards yellow than green in the winter? If so, your plants may be telling you they need a good dose of fall fertilization. 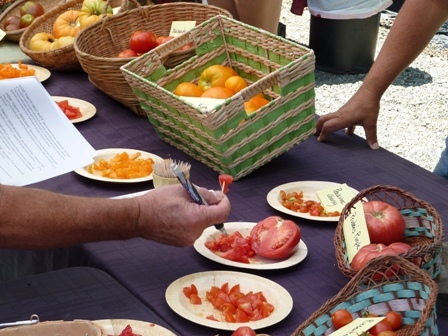 We all remember to feed our plants in the spring, but many of our garden friends would also like to be fed in the fall. 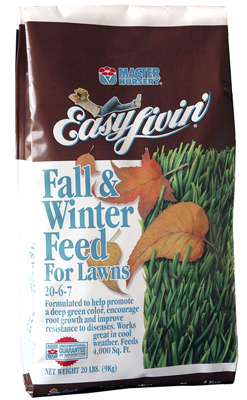 Lawns and evergreen ground covers like Master Nursery Easy Livin’ Fall & Winter Feed in the fall. Fall & Winter Feed will not only green up cool-season lawns and ground covers for the winter, but will make them hardier and more disease-resistant giving you a healthier plants year ’round. Early spring bloomers start forming their flower buds in the fall and winter. While you don’t want to encourage a flush of new leaf growth in the fall, it is important to feed early spring bloomers now with the nutrients they need for better buds and blossoms, and to strengthen the plants to help them resist diseases and protect against cold weather damage. 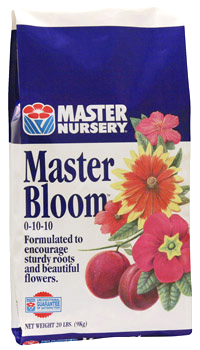 Zero-nitrogen Master Bloom (0-10-10) is the perfect fertilizer for the job! Feed Quince, Dogwood, Lilac, Rhododendron, Forsythia, Magnolia, Azalea, Flowering Almond, Snowball Bush, and all fruit trees in the fall. They will reward your efforts next spring! Many of our needled evergreen trees and shrubs put on a growth spurt in the fall. 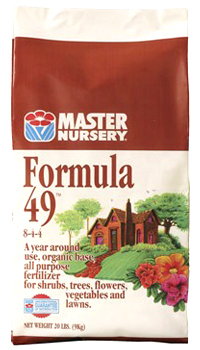 Help them along with a dose of Master Nursery Formula-49 (8-4-4). This organically-based fertilizer is a great non-burning source of the nitrogen, phosphorus, potash and essential micro-nutrients these evergreen plants need this time of year. Cultivate the recommended amount of Formula-49 into the soil at the drip line around your trees — away from the trunk — where the rain would drip off the ends of the branches. Your evergreen trees and shrubs will thank you with beautiful and healthy growth.